At the roundabout at the end of the Skye Bridge take the first exit(left) into Kyleakin. Follow the road until you see the sign for the South Obbe Road on your right. Turn right and follow the road until you reach the last house on the left just before the fishing pier. This is Moyle Cottage. The name is displayed on the fence. The postcode for your GPS is IV41 8PN. From the cottage we have seen a wide variety of bird life including Heron, Mallard, Eider Duck, Finches, Gulls, Shag and, we have even had “in the garden” a visit from a ‘Black Grouse’ one of Scotland's rarest birds and on the RSPB Red List of endangered species. 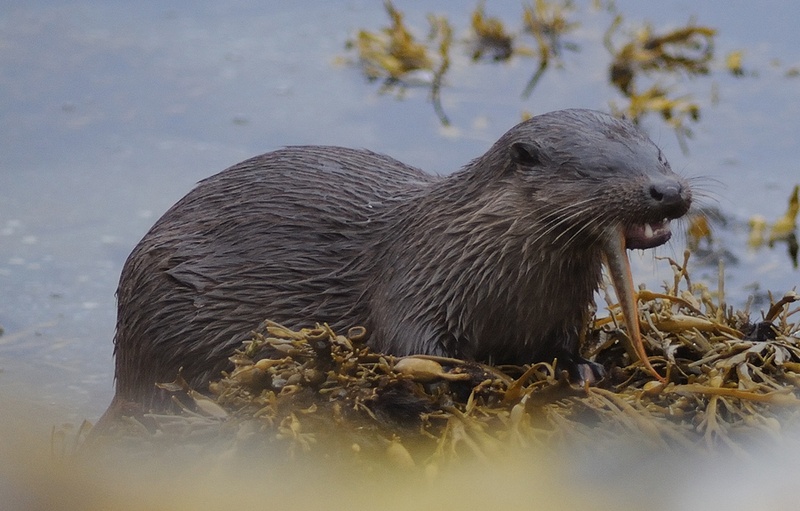 Otters are much in presence on the Island and the cottage is only a short distance from The Eilean Bàn Trust & Bright Water Visitor Centre which provides visitors with much information on the local wild life. The waters around the island present you with the opportunity to see many different forms of marine life including dolphin, porpoise and seals. Skye is a magical island and there are many tales and legends entwined within it. Around the year 900 the fourth MacKinnon Chief, occupant of Castle Moil, married a Norse princess nicknamed Saucy Mary. Saucy Mary was said to have run a heavy chain across the sound and levied a toll on all vessels wishing to pass. Local story’s suggest that Saucy Mary was not the only important Royal connection the Mackinnons had for in 1746 after the battle of Culloden Bonnie Prince Charlie fled to the Isle of Skye and was given sanctuary by Captain John MacKinnon. As a reward for his loyalty John Mackinnon was given the princes personal recipe for Drambuie a whisky liqueur made from a secret blend of heather honey, herbs and spices, a recipe that is still a closely guarded secret today.